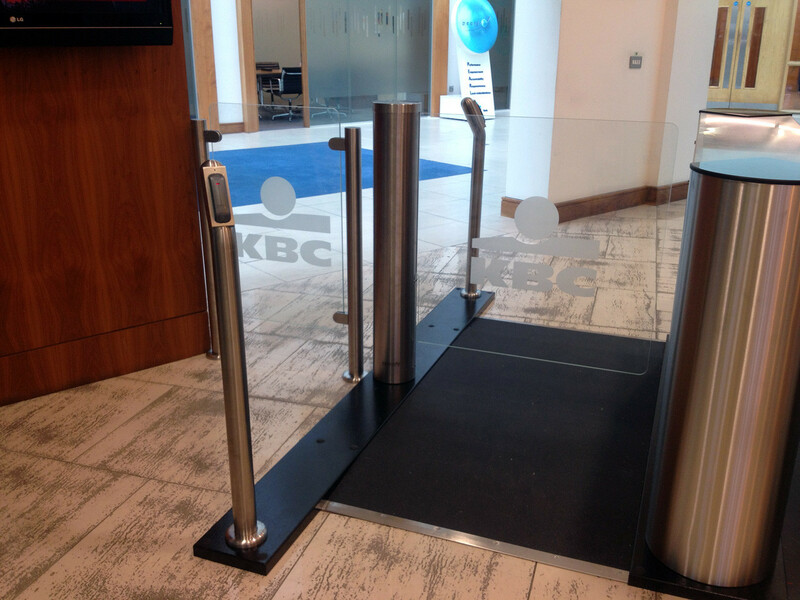 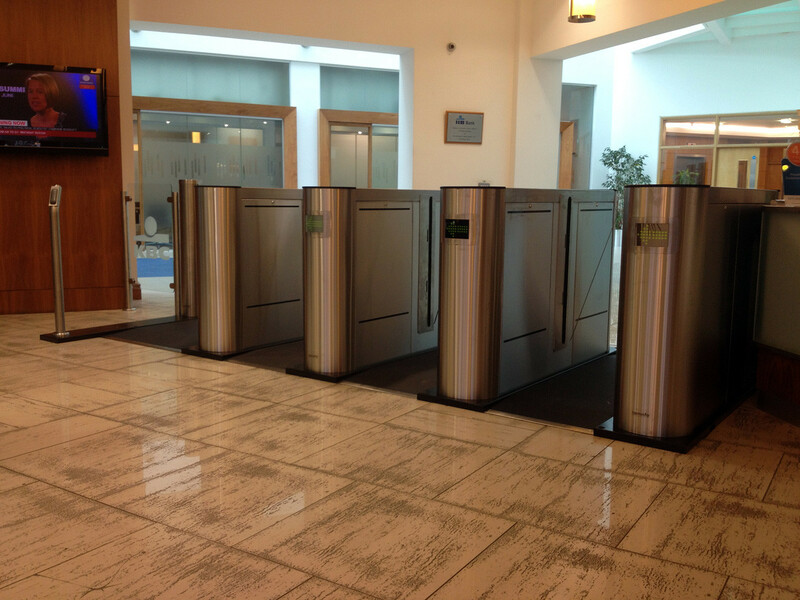 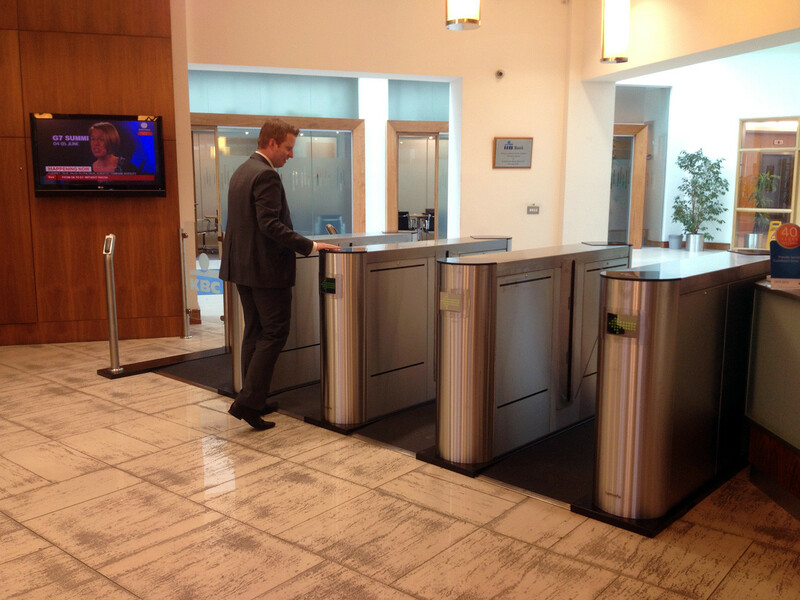 Advance Systems worked with closely with KBC & Aramark on site to design a setup of high end aesthetically pleasing Easygate turnstiles that would provide a complete level of perimeter security at their main entrances whilst remaining DDA compliant. 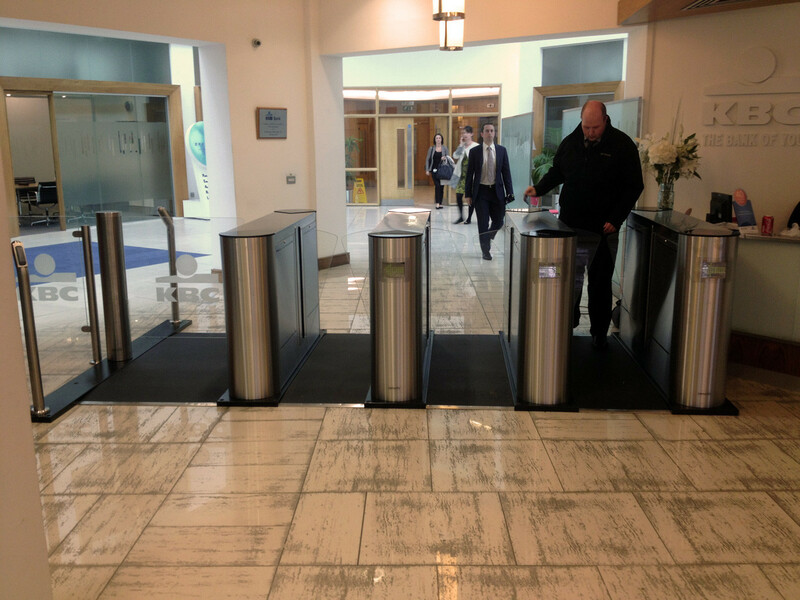 As part of their building is a listed property, underfloor cabling was not an option so we used our RampLT product which is customised per project with built in cable containment and a black anti slip surface. 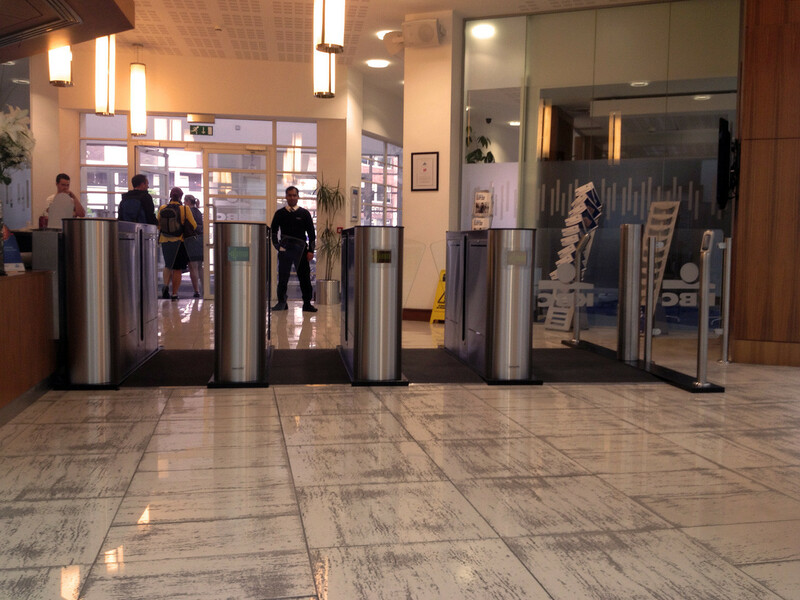 Advance Systems provided a turnkey solution withn all works were performed outside of normal working hours and being completed on time.